I've been an expat for 22 years, and I know what it means to be overwhelmed by new food options and quality standards like we are not used to experience in other countries. Although food in USA is abundant, the nutrients profile of most products can be very low, causing most of Americans to lack proper nutrition intake. This actually has even a name: hidden hunger. 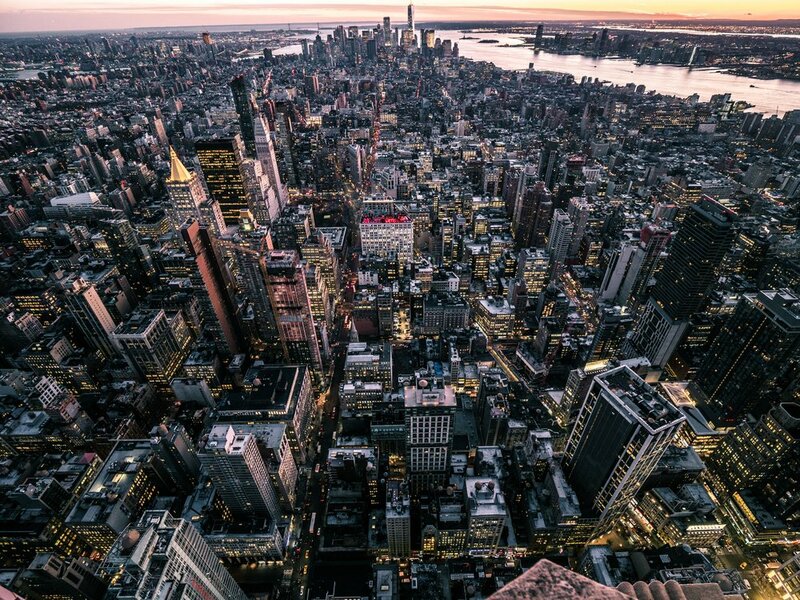 Feeling overwhelmed, sluggish, out of focus, struggling with weight management, and being sick all the times is most often the first experience of most people arriving in the country, especially in big metro areas like NYC. My mission is to empower new and old expats to feel in control of their own health & lifestyle by sharing with them America's controversial ingredients & food production practices, helping improve and enhance their lifestyle routines. Specifically, in my private coaching practice I share tricks and healthy habit changing routines for how to cook & shop real food while saving money and time. Having an accountability partner means that it might be easier to maintain a healthy routine in the long run. It took me many years to figure this out myself, so that I can share it with other expats, or other individuals that feel foreigners in their own land. Something that we don’t hear very often as if it doesn’t really matter: the quality of the food you choose to consume will make a huge difference in your life. Your body and your taste buds will surely feel the difference when you eat fresh harvested naturally raised produce vs produce that has been sprayed with chemicals, traveled for thousand of miles and sat on a market shelve for a few days longer. Most often than not quality will be reflected in its price. Smaller harvests, and a lack of subsidy from the government like big agro companies use to lower the prices is the biggest reason. If the price is too low, that might be an indication of a cheap and perhaps bad quality ingredient or product. Even a few cents sometimes make a huge difference in what you are buying. If it’s fresh food make sure you research its origin, if it’s a boxed or processed product read carefully the food claim label (see tip #9 on what to avoid specifically). Overall, upping your budget for smarter groceries will go a long way toward your health. With this in mind, paying more money for quality food now could as well mean less money in doctors bills later. Choose stores that clearly offer local, seasonal, organic produce, and overall cleaner products. You will find that while one store has a better deal on fresh produce, the other could offer a better deal on meat-free products. It might take a while to find the right one, especially if you live in a food desert or a suburb, but the stores offering fresh and local foods are popping up all over America. Also, you don't have to shop it all in one spot, although it might seem more convenient in the short term. My current mix of groceries includes stores like WholeFoods and Trader's Joe for staples, while using a local farmer market and one CSA program to supply me with the best and freshest in season produce! You can also consider shopping online by signed up for a CSA and ordering your kitchen staples from Thrive Market, a company that discount products to you while helping low income families saving money. Sounds complicated? You don’t have to do this on your own. Let’s do it together. Traditional stores are designed to make you shop where the profit is higher: that’s where highly processed foods and all the marketing messages mostly concentrate. Do as much as your possible of your shopping on the outside of the store area. That's where usually fresh produce and products are placed. Next, move to the cold area where you could pick up some select frozen vegetables and fish, and only then browse the central aisles to pick up other staples that sit among the highly processed items. A healthy diet has been shown to bring the most benefits when fresh whole food ingredients are at the center of it. One way to know how well you are doing is to observe your cart. If you see more carton and plastic then fresh items, it might be time to rethink your shopping strategy! When you buy seasonal & local, you don't only help your local farmers, but you get the nutrients as nature intended for you to receive and potentially protect you from season's illnesses. You can also download the Seasonal Food Guide app to find what’s seasonal in your area. Even though it’s not perfect, the Organic certification is the best we’ve got. Let’s use it! This certification helps us identify pesticides-free food. Organic also means that you are buying a non-GMO product which should not have residues of dangerous cancerogenic chemical such as glyphosate. The EWG's Dirty Dozen list is a great way to know what produce you might want to buy organic as a priority, so that you can save some money there. Some local farmers at your local farmer markets might not certify organic, but will disclose that they use natural methods as a normal practice. Just ask them! By eating mostly fresh and food that you are definitely on the right course to improve most stress and lifestyle related complaints like depression and anxiety. You might be tempted to indulge in food alternatives that seem healthier, only they are not. Light cheese, sugar-free cookies, fat-free chocolate, lactose-free milk, gluten-free bread. The majority of these foods end up being more processed and more artificial ingredients are added with the end result of being more unhealthy than needed. The food industry listens to consumers needs and engineer their products to meet the demand. Although that’s great from a marketing point of view it’s probably not good for us. because it doesn’t address the problem at its root. Instead, try either avoid the ingredient entirely or look for a high quality ingredient that won’t cause the problem (example: use coconut sugar or instead of splenda in your coffee). Meal plans are a collection of recipes that are balanced for your personal needs. Most often designed by a nutrition expert or given to you by a health coach, a full calendar of nutritionally balanced recipes made with wholesome ingredients is provided to you along with ingredient list and meal prep guide. That’s just genius. 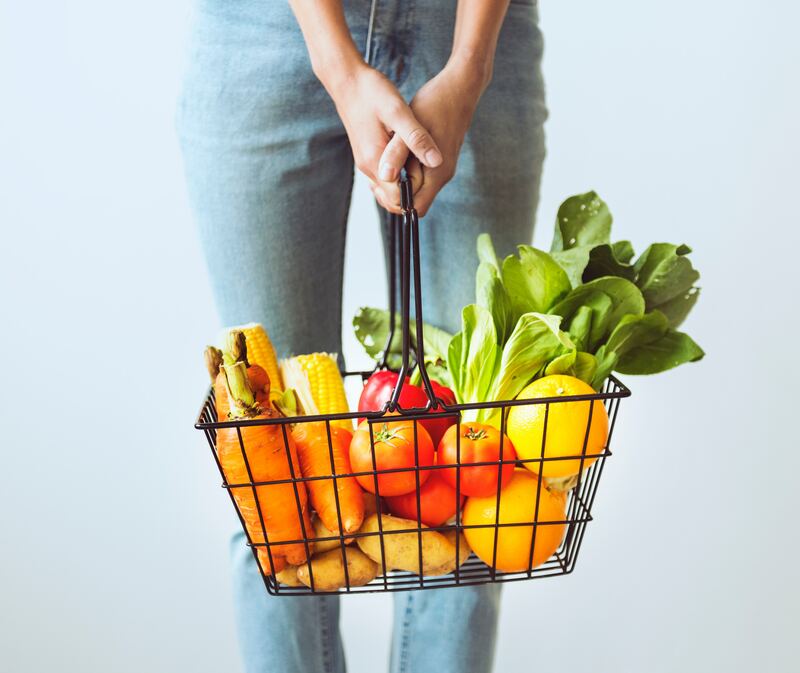 On top of saving money browsing aimlessly the store’s aisles , that’s a great way to avoid most processed foods by hand picking and using your own ingredients. 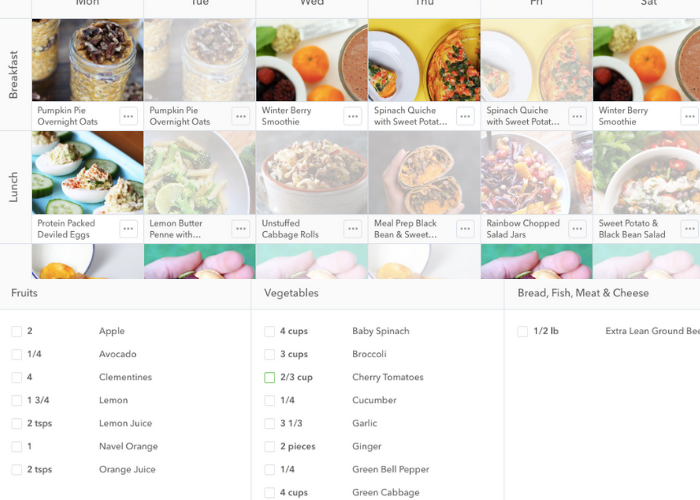 I recommend using one of the many personal meal planner softwares out there, or hire me to design one personalized for you! Entering a supermarket you might think that by reading the boxes of the products displayed, you could resolve all of your health issues, from blood pressure to heart issues. Calcium in milk is good for your bones, iron in cereals is recommended by the American Heart Association. Truth is: the food industry would state anything to sell you their products. Not surprisingly, the majority of these very profitable companies might not have your health as their first interest, and they are definitely not to be confused with your personal nutrition expert. Whole food diet is the way to go. But if you are still hooked to your favorite cookies or crackers, try to look for healthier alternatives. What does that mean exactly? Avoid chemicals. Compared to a huge list of banned chemicals in Europe, USA still uses thousand of chemicals that haven’t been tested for safety and that have been associated or that have been identified as the cause for neurological and autoimmune conditions. While they are too many to list, this is a short list of the most common ones used across most popular products. I hope you enjoyed this tips. If you find them useful and want to hear more about it, follow me on my other channels. AND BEFORE YOU LEAVE THIS PAGE…. Keep the portable version of this blog in your pockets next time you go shopping. 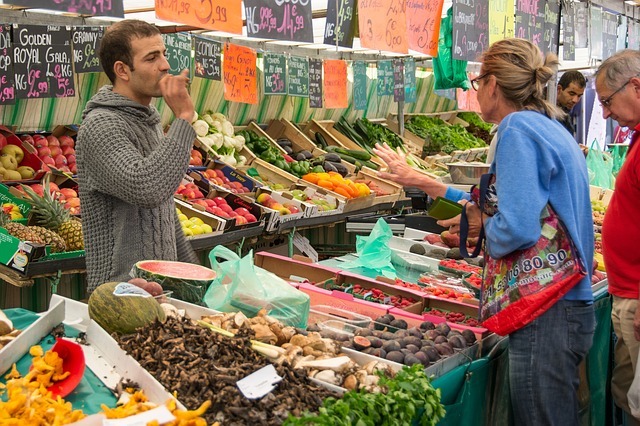 Enter your email to download the "POCKET SIZE SURVIVAL GUIDE TO FOOD SHOPPING FOR EXPATS".